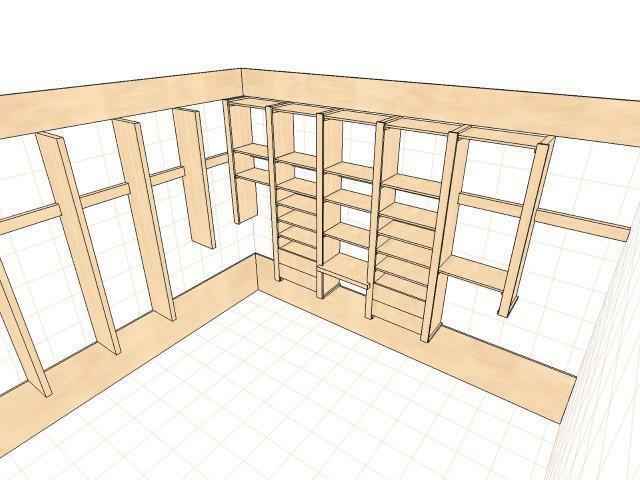 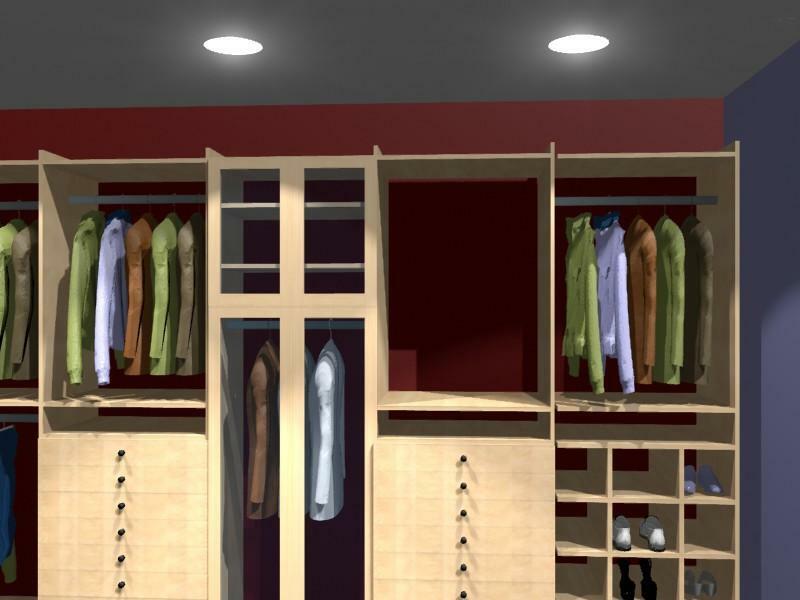 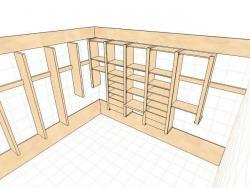 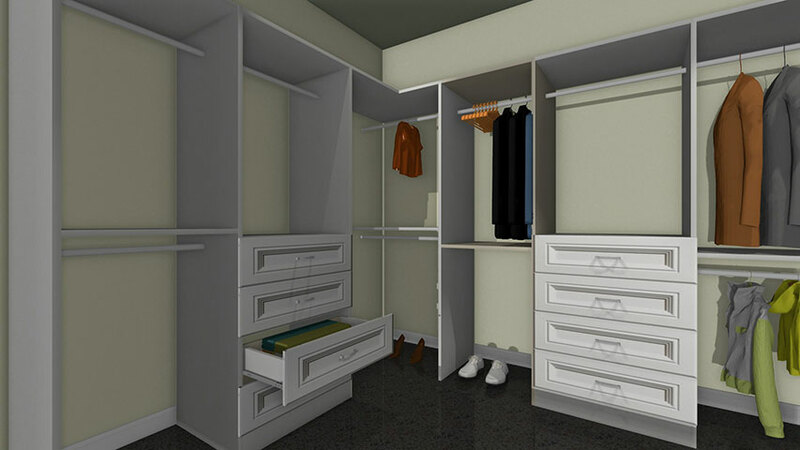 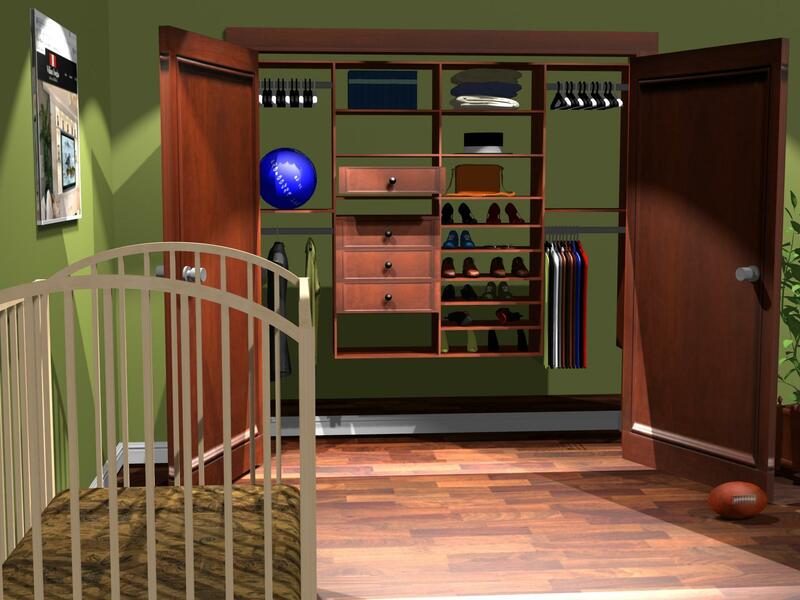 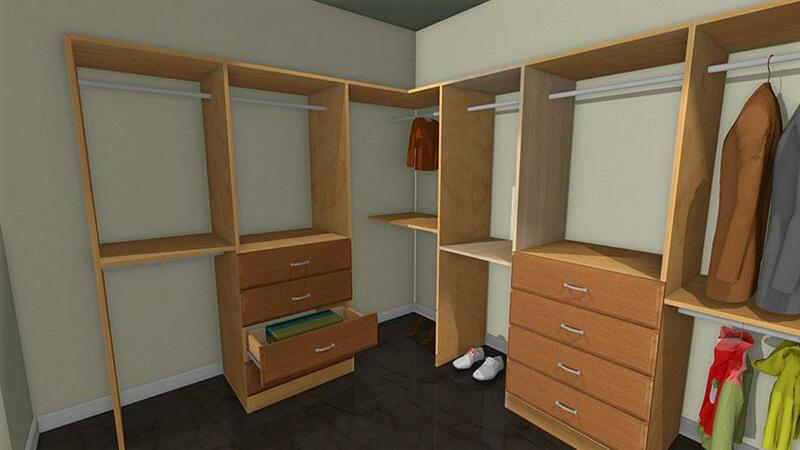 Build and design the most functional closets for your home or office using the easiest closet design software. 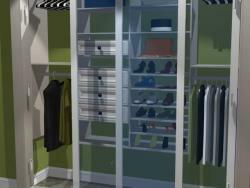 Pro100 has design features that ensures easy adding of drawers, doors, laundry baskets, shoe shelves etc. You can price your parts if you are dealer, use closet accessories such as shoes, clothes, hand bags that comes with the standard library. 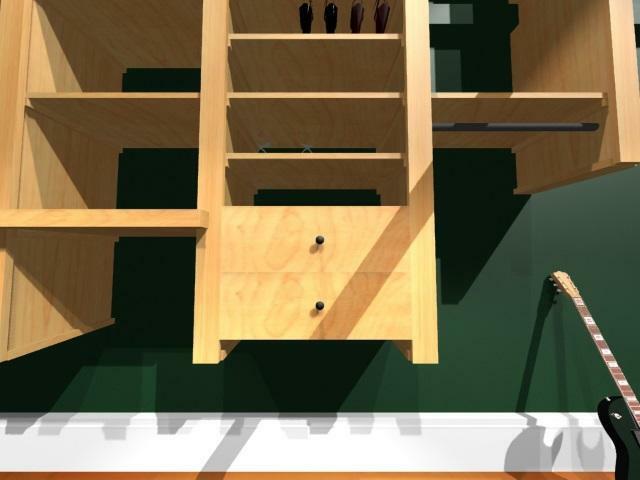 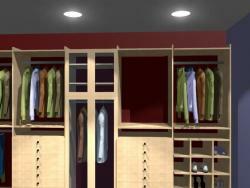 Experience total control down to the part level of your custom closets including cabinet shelves, and storage room. 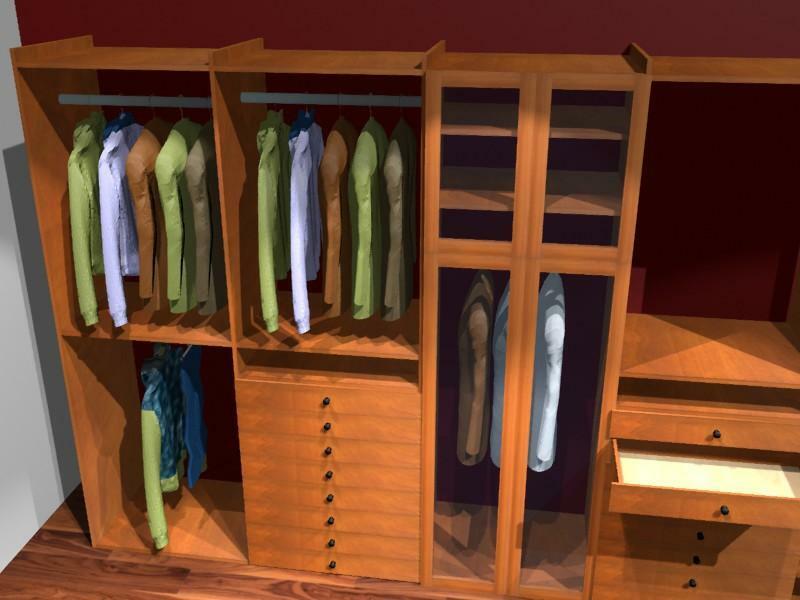 You can generate a cut list if you make your closet from scratc and price them by the parts or by group object depending on how you do your cabinet manufacturing. 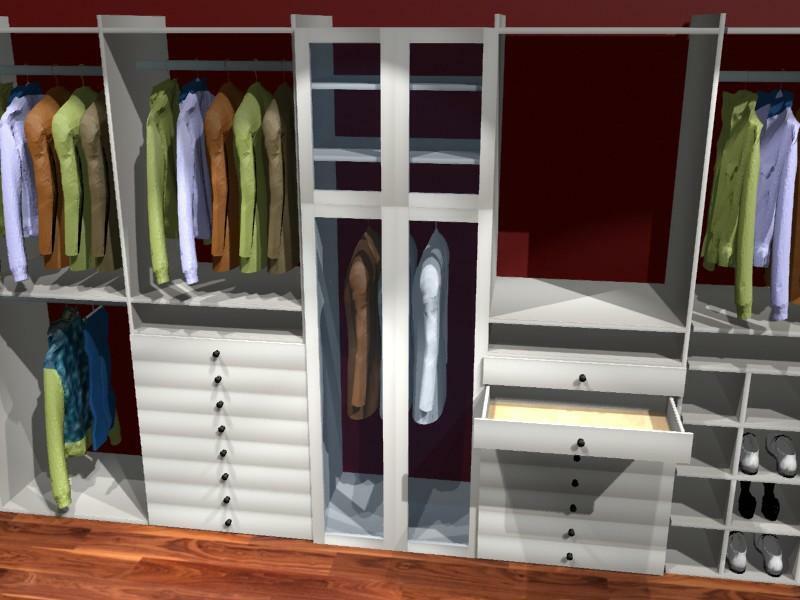 Create almost any closet parts or ready-mades from your manufacturer right into your own catalog. 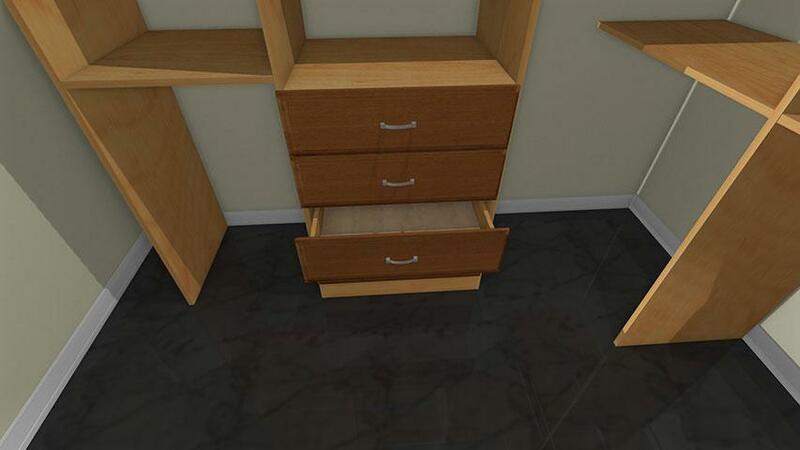 This gives your clients a visual aspect of your designs including the cabinets. 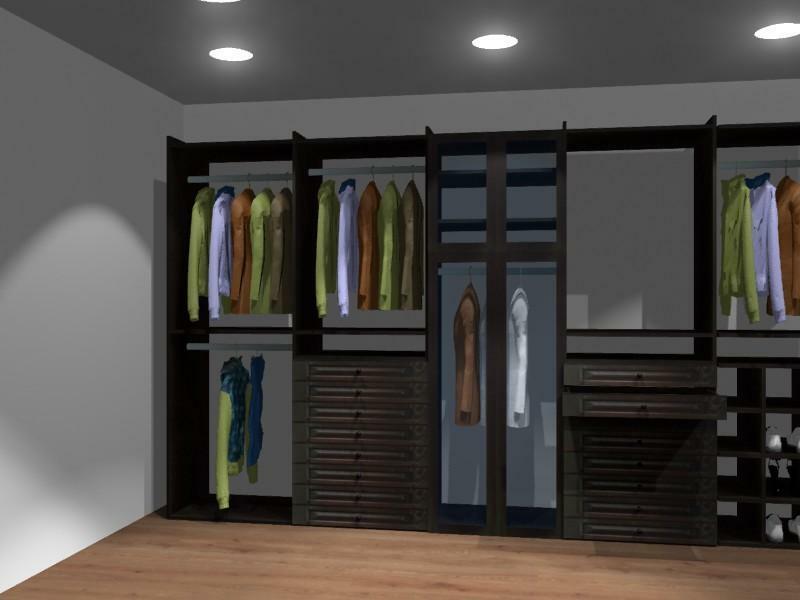 ON and OFF dimension display, lighting effects, 3D renderings, price integration, reports are a some of the features that will help you achieve your goals. 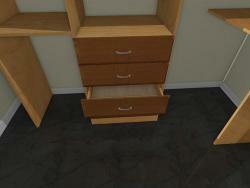 Please note that Pro100 works very well with CNC machine. 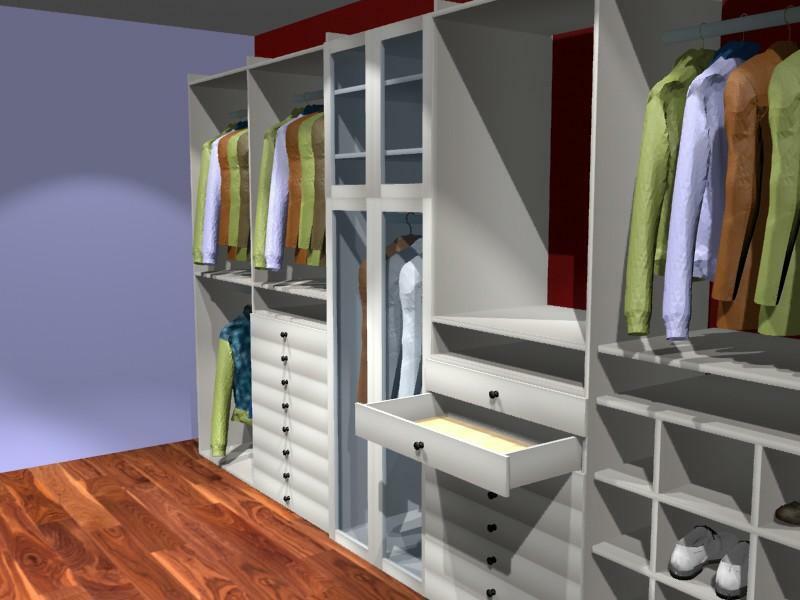 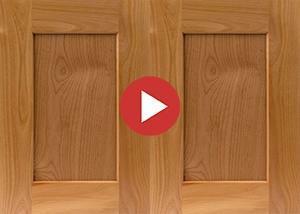 Give your closet cabinets the best makeover. 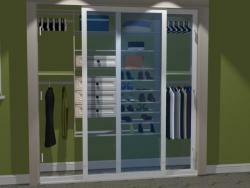 See Pro100 active users. 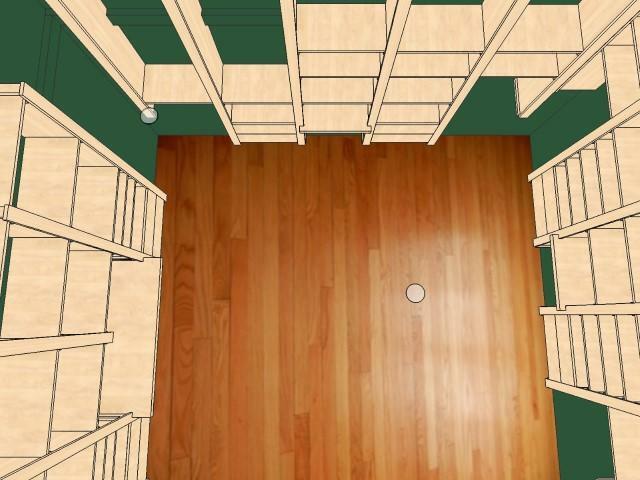 Anything you can think of within a room. 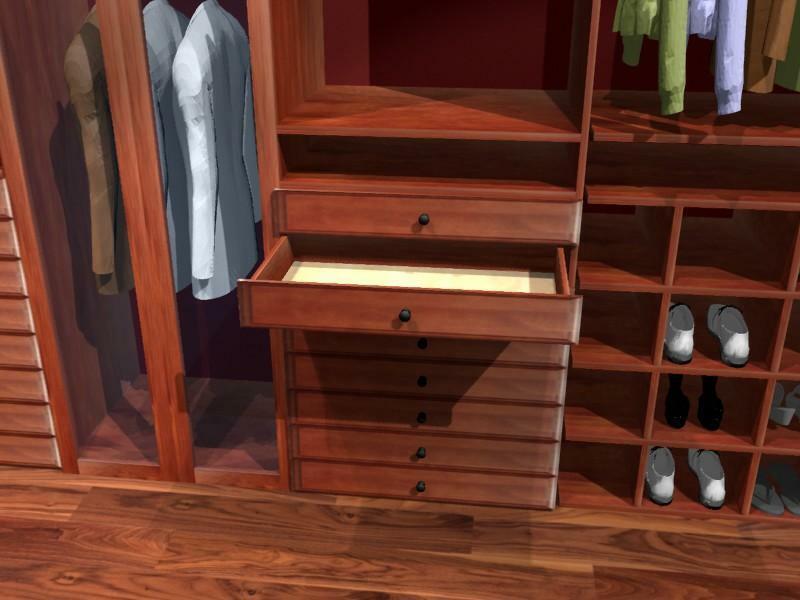 Pro100 is a design tool that will fix a lot of broken systems. 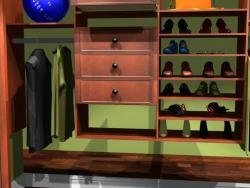 Shoes piled up in one corner, clothes up high on the shelf requiring a step stool to reach them. 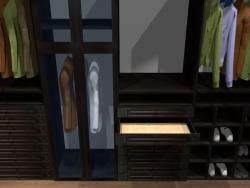 All this makes it impossible to utilize the whole space. 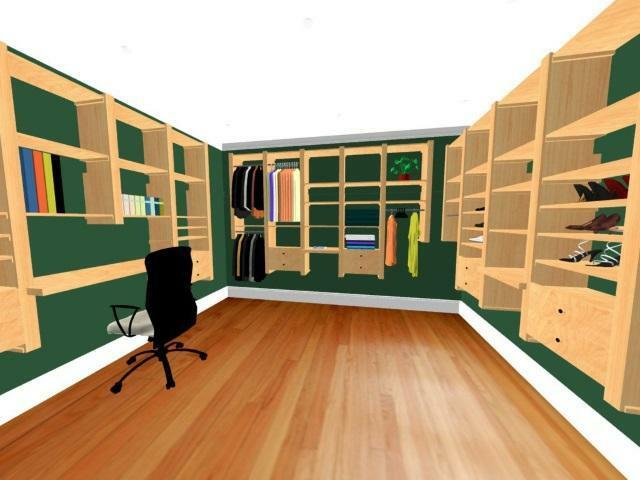 Whether you are doing a master bedroom closet or designing a craft closet, the options are unlimited. 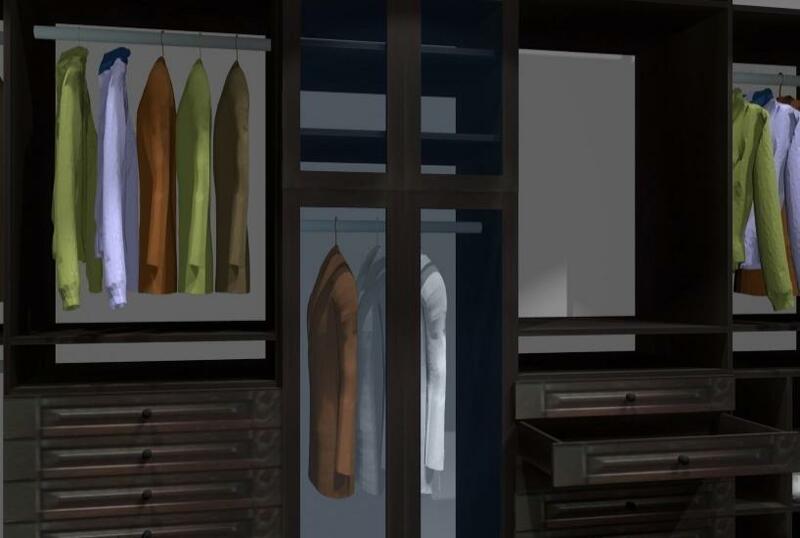 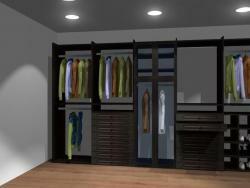 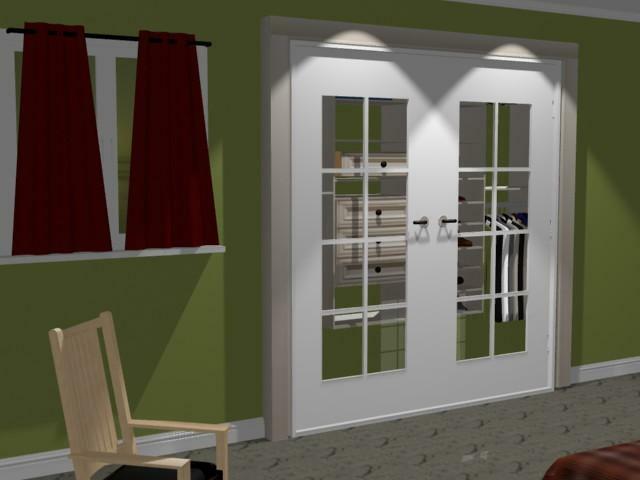 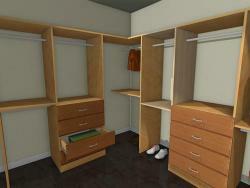 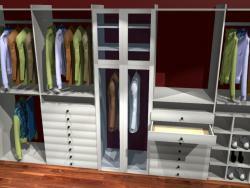 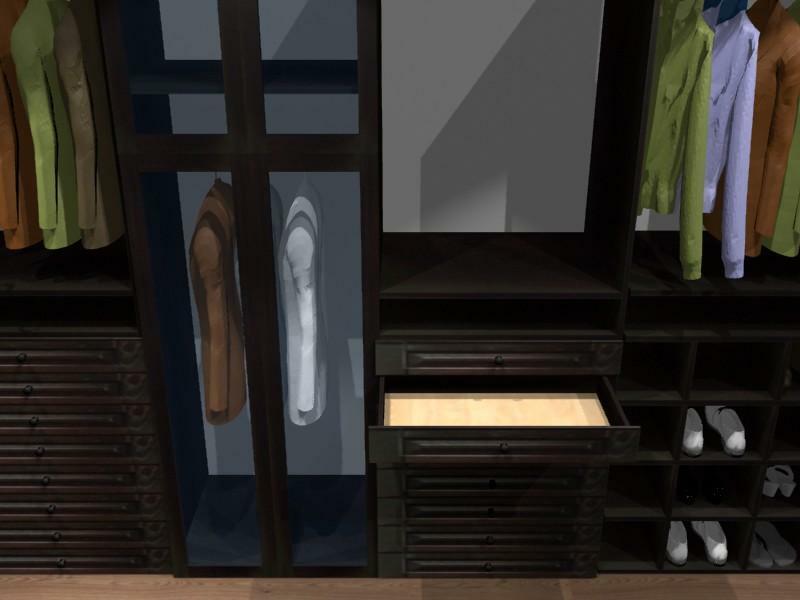 Please read more about Pro100 closet design software and how to create your own closet system. 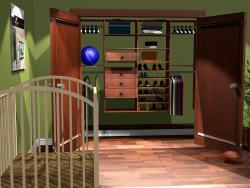 Your clients will like photo realistic images like the ones shown below. 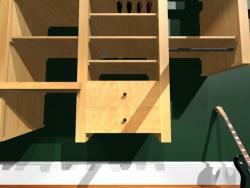 Go ahead and download the demo, it does not expire and therefore feel free to play with it as much as you like. We have put together a small sample of closet catalog for you to download as well. 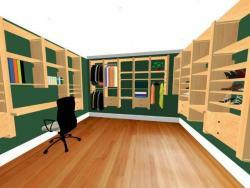 One area that anybody could and may be should improve is the closet. 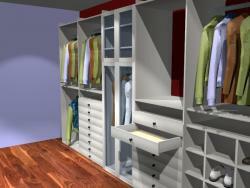 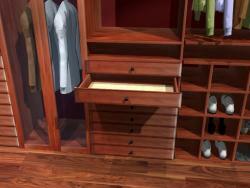 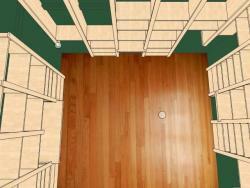 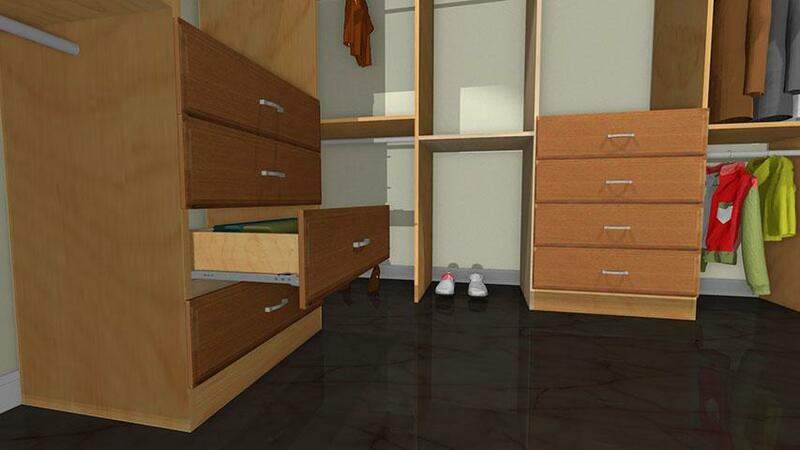 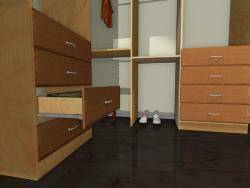 Using 3D closet design software like Pro100 can greatly eliminate clutter within your bedroom with a short time. 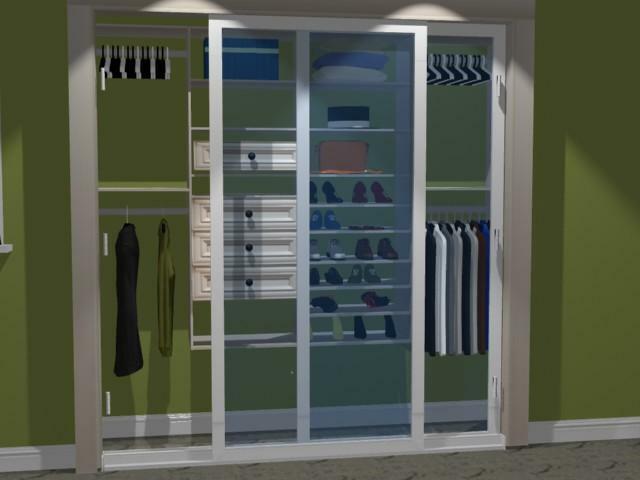 This ensures an organized space for your own storage.